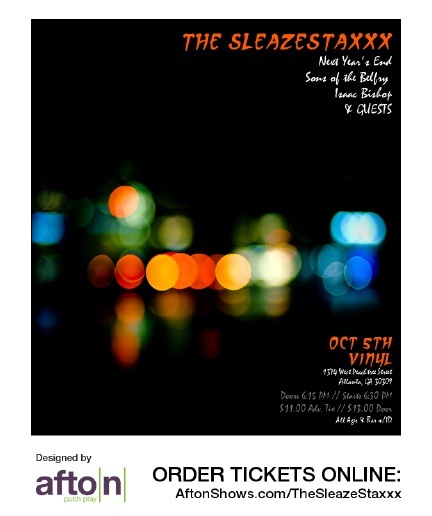 We will be playing Vinyl on Saturday, October 5! Please buy advance tickets at AftonShows.com/TheSleazeStaxxx . Tix are $11 in advance or $13 at the door, BUT if you buy your tickets before 9/21 you can use Promo Code SLEAZESTAXXX961 and get them for just $8! Yeah! Attendance is compulsory.